How Does the Law Work in Antarctica? Legal Categories // International Law // How Does the Law Work in Antarctica? Who Discovered the Bottom of the World? What Countries Have Territorial Claims in Antarctica? How Will the Law of Antarctica Affect the World's Future? Antarctica is a world of awesome beauty and great mystery. It is it is the coldest, windiest, driest, and highest continent in the world. 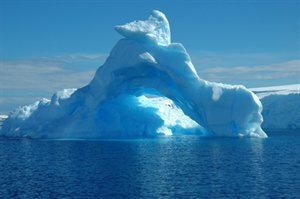 The term "Antarctica" means "Opposite the Artic," as Antarctica lies at the bottom of the world opposite the Artic. But who lives there? What is its history? And most importantly, what are the laws of Antarctica and how might they affect the future development of mankind? We believe the answers to at least some of these questions will amaze you. In order to understand the current legal structure of Antarctica, it helps to know a little bit about its geography, inhabitants, and history. Next, we’ll take a look at the geography of Antarctica.